Ultrasound scanning services by Harbourmedical Ultrasound are available for NHS and Private patients. The service is provided by highly qualified sonographers of many years’ experience who are backed by a team of consultant Radiologists. The sonographers, via their CPD, undertake regular updating of their knowledge and skills. Their work is regularly monitored and audited by the Radiologists in charge who also personally reassess all complex scans. Regular surveys of patients are undertaken. The service is provided with a high quality scanner and is for adult (over 18years old) patients only. 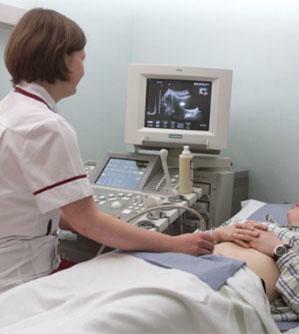 NHS patients can be referred for ultrasound scanning by their GP. The referring GP should complete and return the referral form. An appointment will be sent to the patient for scanning and the report despatched back to the referring doctor on the day of the scanning. Non-NHS patients should contact the practice directly for an appointment. A completed referral from a doctor will be required. Please contact the practice for fees payable for ultrasound scanning.